Winter is my favorite season and, especially, when the sky snowing and watching the snow falling in the night is so pretty. As we all know, the winter season is here, and we need to gear up to be warm during the cold weather and prevent from getting sick. Some of us may have less cold weather degree than any other place in the world but we all should be careful and try to stay healthy after all as much as we can. Gearing in winter depends on the weather degree because having normal winter clothes won't be enough when it's so cold. Also, sometimes how many things we should wear during this season is important based on the degree, we can't just wear a coat without socks or gloves when it is minus zero. One of the things we should get to keep ourselves warm during this season is wearing winter clothes, which can help to keep our body temperature in a good, warm level. Some people like to get full coverage of their selves and that is necessary for places that have high cold weather degree because it needs more protection. If you are wearing winter clothes and you still feel cold, that is not a problem because sometimes the weather becomes so cold that it won't be enough. I always have hot drinks during these times which it can help a lot. Especially, if you are sick because of the cold, your best option would be only having a hot drink while wearing the right winter clothes. Anyways, it's been a while since I posted on 'outfits talk' topic and this won't be about the winter drinks, but I will be talking about one of my favorite winter coats that I've been wearing for a couple of weeks, and mention some of the things I like about and what you should look at when you plan to get a new jacket for winter. I started wearing this coat after I got a little sick because I was drinking a coffee while getting cold wind on my face from the window. There are so many things that I like about this coat which really made it my favorite among the ones I have in my closet. I'm going, to be honest, I need to learn how to take pictures because I think this is not a pro work here, you know haha. However, hopefully, it will do the job to show the front side of the coat. Anyways, I don't know what is the brand name for this coat, but I liked it when I saw in the store because it looked like an armor haha. I don't usually focus on such a thing after buying things because that is less important to me. This is not a products review or anything, I just thought it would be a good idea to share with you my nice coat, I don't mind doing product reviews though. It may look like a baggy coat, but it is not, this is just because the coat is three layers which makes the coat thick and made for snow. Although we don't have that much snow in our area, I can wear because it is freezing cold outside the house and when keeping the windows open haha. let me mention, this would be your best choice if you are going snow hiking or somewhere where it snows a lot. The pockets for this coat is so comfy and always make my hands warm which in some cases, you won't have to wear any gloves. 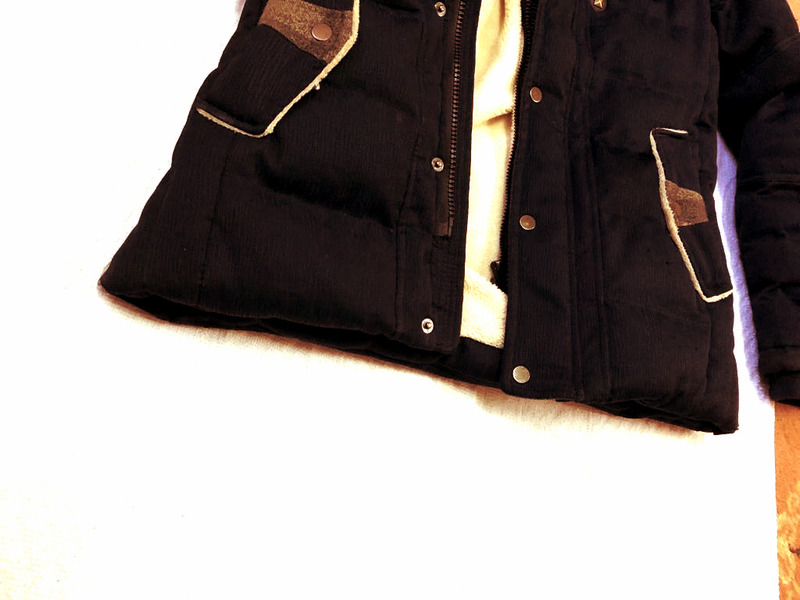 Though the buttons on the pockets have no use because it only made for the good look of it. 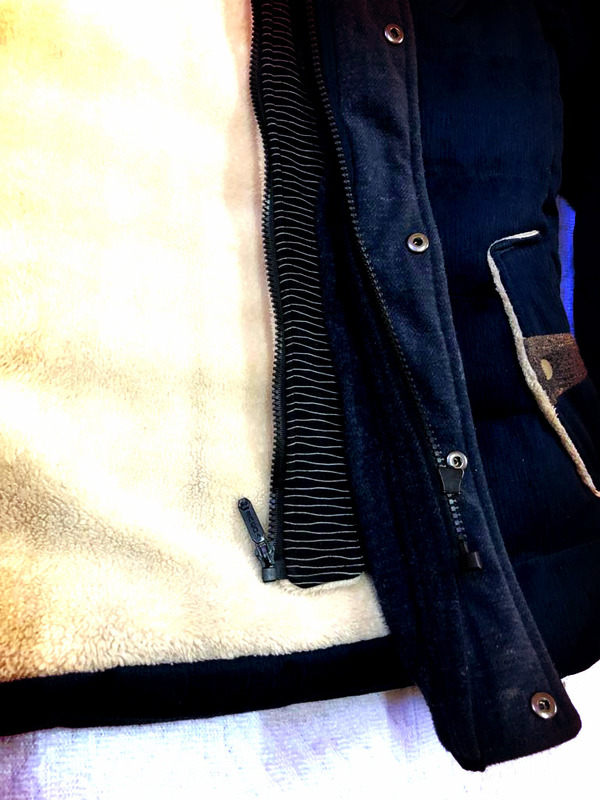 As you can see in the picture above, this is a close shot of the three layers for this coat and it is probably the reason why you can't feel cold even when you have snow weather. I like the idea of the last layer which cover the zippers with nice buttons and that won't ruin the look of it when you want to look nice outside. However, I keep them open when I'm inside the house because is it not necessary. I wear socks with this coat because this is not enough and it only warms your upper body and in a freezing cold weather, we need to cover everything in our body. Three parts of the human body that can cause the sickness which is the hands, feet, and face. If you make sure to cover these part, you won't feel cold at all during winter. 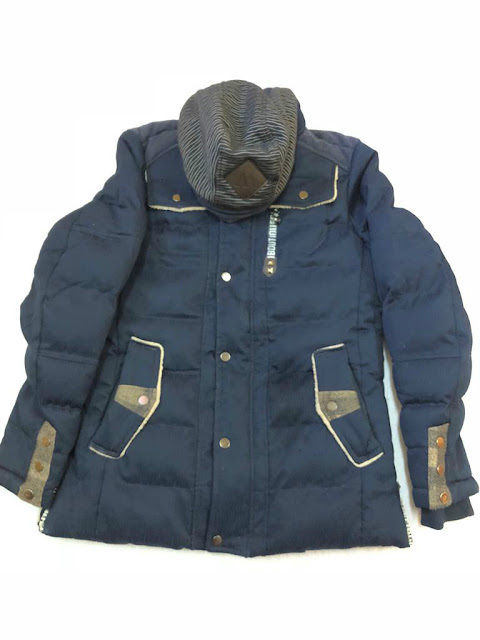 During the winter, the sky doesn't only snow, but also it rain most of the times in some places, and my brother wore it once when we had heavy rain. This can be really useful during times like this which keep you safe. I don't know about you, but when I look at the picture above I feel like I'm going to snuggle into the blanket and get cozy on the bed for the rest of a winter night haha. My best moment when I go to bed in a winter night with a good, warm sleep because I have a thick blanket made especially for weathers like this. You may don't know, but my desk is placed under a window which my face in front of a window which I always get a cold wind coming from the outside and it just perfect protection from that. Especially, when covering my head with that thick hoodie, I just can't feel anything at all because it can cover up to my forehead. This is probably my favorite picture and I was trying to show the thickness of this coat from the bottom. However, the colors made it a pretty shot for it. The design of this is really nice and from both, inside and outside it. I think one of the things we all should look at first when buying a new coat is to feel the inside because this is all the matter. There are some of it which can be used only for the look and I have got one before and regretted that I bought it. You need something that can warm you up when you wear it. 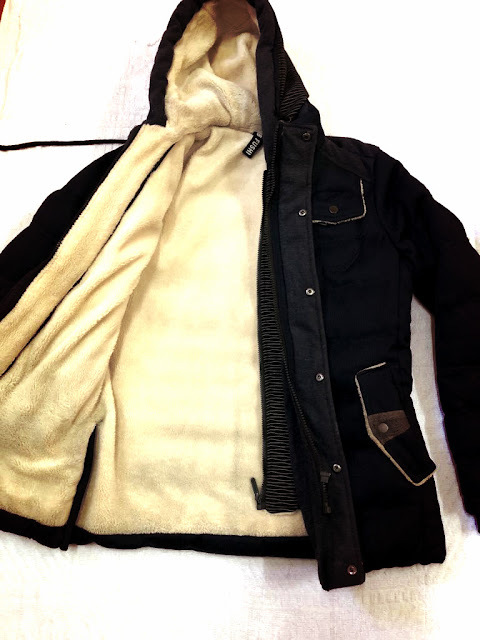 Hooded coats are the best choice for winter gears in my opinion because they made for both snowing and cold wind. You can cover your head and your body at the same time which something we always need to do during the winter. Also, make sure it's more than one layer to help keep the body warm even when it gets colder. My favorite winter coat is super long and covers me from head to knee. It is also super soft like a blanket inside and is worth cuddling up into!! I just got a new parka and I think it may be my favorite coat I have ever had! Oh my gosh, that looks so comfortable! It doesn't get super cold in south Texas, but I absolutely hate the cold, so the 50 degrees we had today had me in all the winter gear! Winter coats are a must. We just bought my son an adorable blue parka and he absolutely loves it. I am not much of a jacket or coat person so I don't really have a favorite. I more so have a fav cardigan! I love winter... being all cosy in a big, warm coat and boots! Yours looks so warm with all those layers... and a hood is a must for me too! First of all - great photos of the coat. And I love the coat with the hood. It looks cozy. I too like to be warm in the winter with a big, warm coat and a tea or coffee in my hand at all times. I'm sure you'll be warm this winter with this coat! 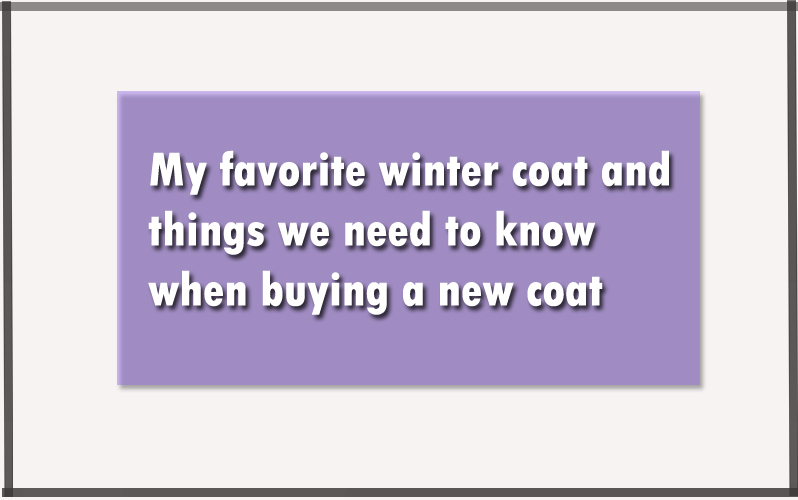 Seriously there's nothing like a good coat! To me it's the most important piece in my wardrobe! I got mine from Asos white and it's amazing! That looks like a warm coat! I live in a warm climate, so I don’t have too many big coats. Though San Diego never gets cold enough to warrant a winter coat, I love the cozy warmth of layers! Plus, I totally agree with you when it comes to the hood- so necessary for a versatile winter piece! This winter coat looks super nice and comfy! I agree about hooded coats to keep ears warm. I hate it when my ears get cold then they start hurting.